A concatenation of railroads here at Cecil Junction, seen looking north from the 20th Street bridge in northwest Ogden, Utah. 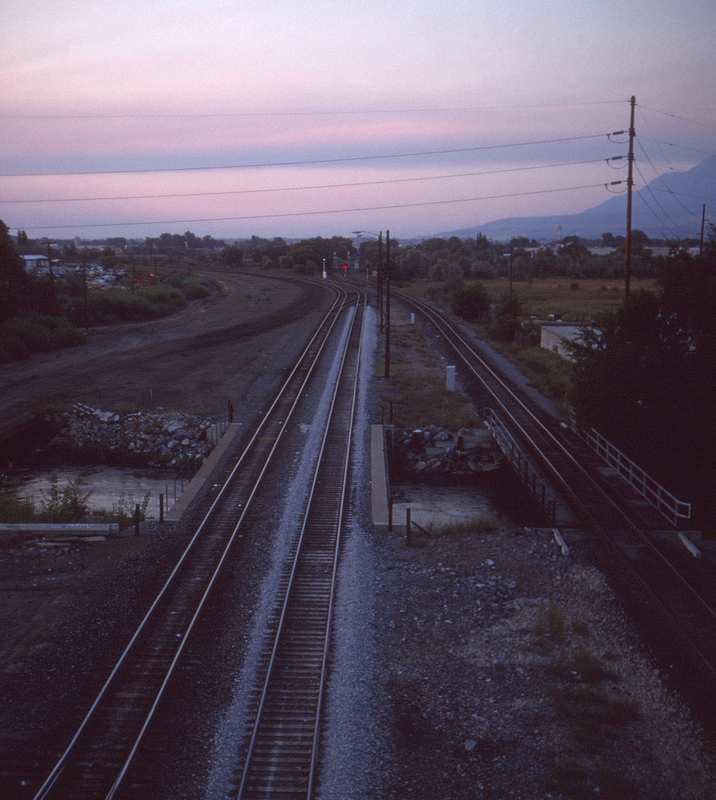 Here the Southern Pacific's line to California curves off to the west towards the Lucin Cutoff causeway across the Great Salt Lake. The Union Pacific's Oregon Short Line to Pocatello and Montana is at the right; a bit further north at Brigham City the original Promontory Summit line diverged, now abandoned past Corinne. The track curving in from the lower left is an interchange track with the Denver & Rio Grande Western's now-inactive Salt Lake City line. The bridges in the foreground cross the Ogden River.